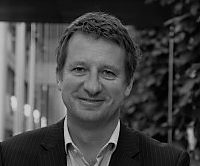 Yannick Jadot is a French MEP and member of the French Green party, Europe Ecologie Les Verts. Previously he has worked for environmental NGOs in Burkina Faso and Bangladesh and has been campaign director of Greenpeace France. Nous sommes dans les années 60, au cœur des Trente Glorieuses, les pays de l’OCDE sont en plein boum économique, industriel et technologique. The proposed airport project at Notre-Dame-des-Landes has become a landmark in the fight against useless mega projects. The so called “zadists”, who are fighting to defend the territory, became a symbol of those in search of another, fairer and humane world. Utopians with their feet on the ground.